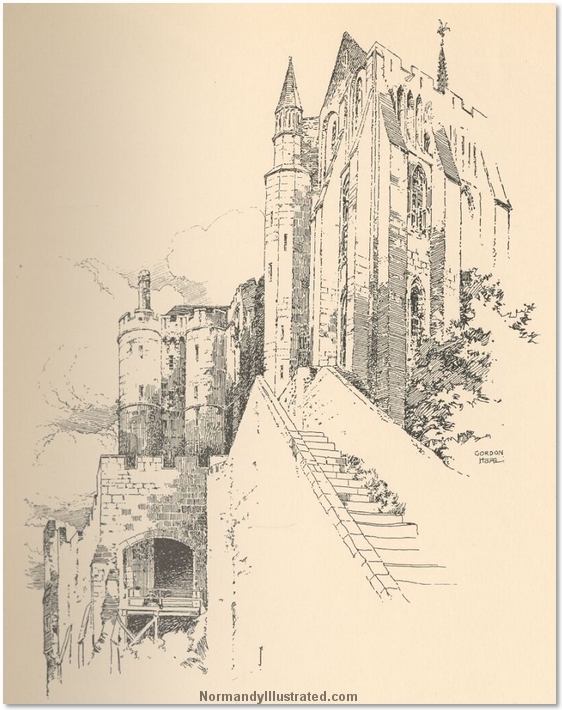 This is a drawing of the abbey at Mont Saint-Michel, Normandy and the stairs leading up to it. From the top of the cathedral you can see the vast flat area around the cathedral. It would have been easy to spot an advancing enemy force from many miles away.